A perfect way to tell someone you love them. 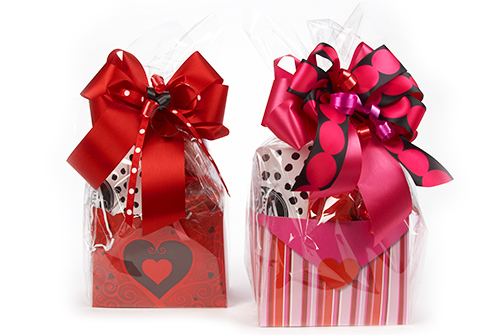 Goodies selection of fine chocolates and candies is sure to impress your loved ones. Available in two sizes (teddy bear not included). Note : If you are sending this item to multiple addresses please add to cart one at a time so you can customize each message. In order to ensure quality, we reserve the right to replace some elements in your order with other items of equal or greater value. 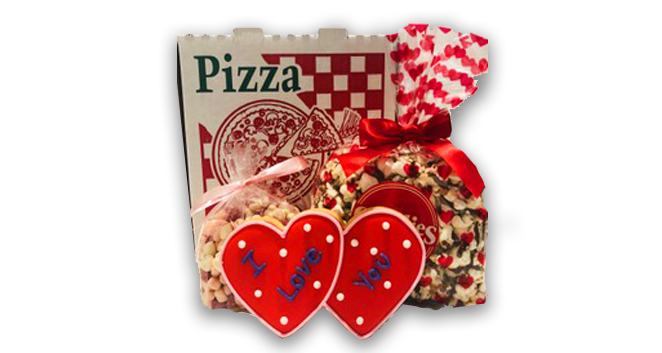 Your Valentine will adore this gift. Happy birthday to you! 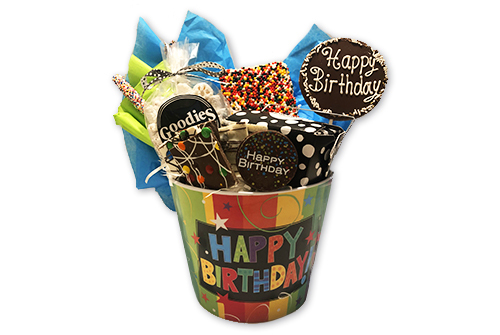 Express your birthday wishes in this indulgent candy and chocolate assortment. What a fabulous way to celebrate someone’s birthday! Something Silver! Put sparkle into the holidays with this beautiful silver party bowl filled with a wonderful selection of chocolates, candies and more. Celebrate Baby Girl! 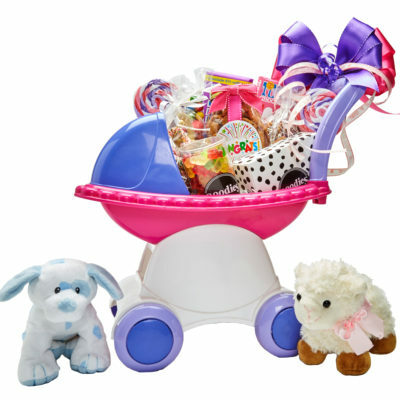 For mom, dad, big brother or big sister, extra special cookies, candies and chocolates beautifully packed in a brightly colored stroller. 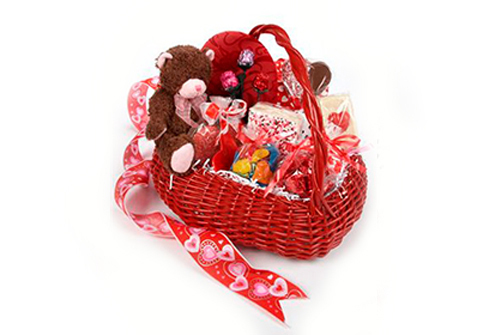 Say ” I love you” with this heart shaped basket overflowing with gourmet Valentine’s chocolate and candies. Go “nuts” (free) for your valentine. 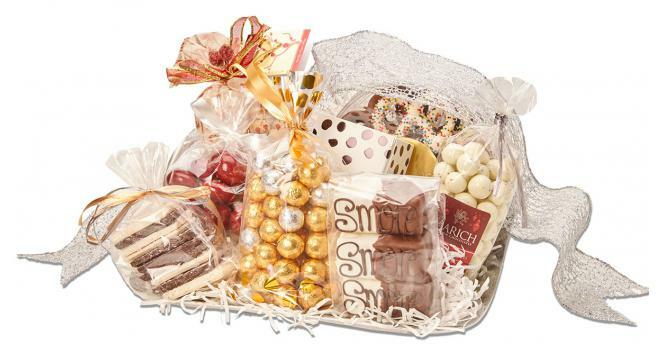 A perfect assortment for the nut free chocolate lover! 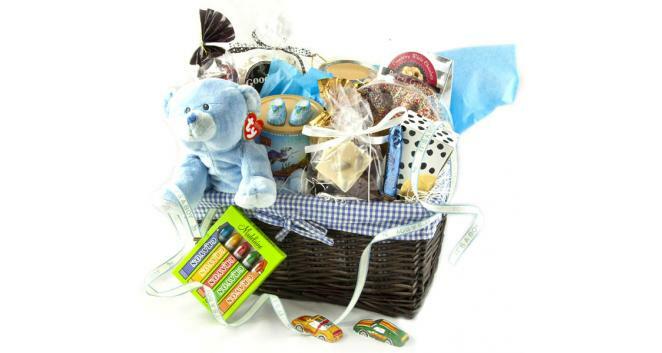 Celebrate the arrival of a new baby boy with our bountiful baby boy gift basket. 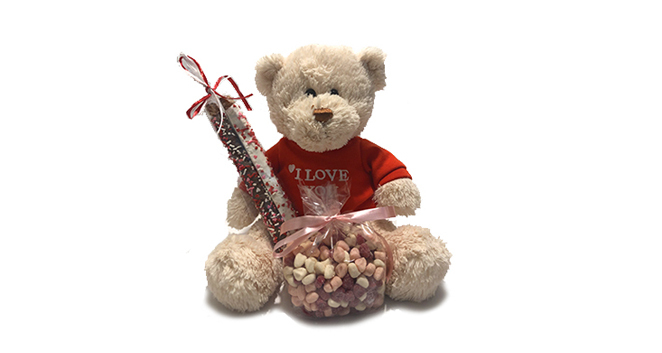 Included in each basket is a stuffed animal, English toffee, cookies, chocolate cigars, chocolate baby booties and a delicious assortment of chocolates and candies. 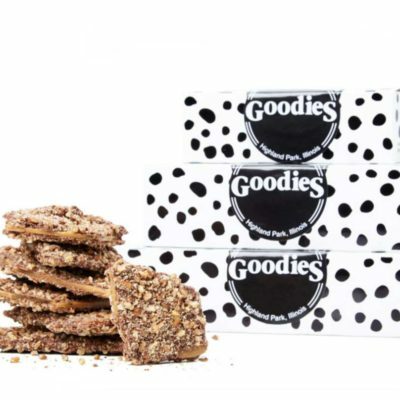 Enjoy our delectable English toffee bark in milk chocolate, dark chocolate or white chocolate presented in a Goodies gift box. The gift boxes are available in three sizes (1/2#;1# and 1 1/2#). Send one or make a stack of all three. A perfect way to recognize a special occasion. Our Easter Favorites basket contains a tempting selection of sumptuous Easter chocolates and candies. 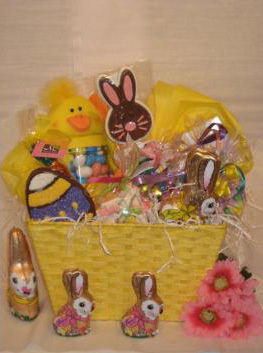 This gift basket is sure to bring delight from the youngest to oldest bunny. © 2018 Goodies Etc. All Rights Reserved.